Every day I am checking ingredients labels. With a nut allergy it’s just part of my food habits. I don’t think about it that much any more, because as I said it’s one of my habits to double and triple check. But how do you figure out which warning label is ok and what’s not? I get asked this question a lot and recently I’ve been finding some funny product labelling. So I decided it was time I wrote up how I think about this stuff. Disclaimer: This post is what I do and how I decide. You must continue to use your discretion and common sense when you check ingredients labels! If in doubt don’t eat the food. If you have further query call the company and ask for their product allergen specification sheet. 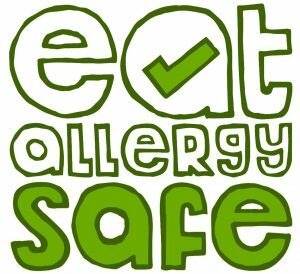 You are responsible for your food choices because you are responsible for you allergy safety. How do I actually decide which foods I’m willing to eat? To be honest it comes down to a few things: what the warning label says, the company and my mood. I’m talk about these is reverse order and show you how I come to a decision. Although this might sound strange, how I feel really does shape how I decide on whether to eat a food or not. I mean we all have that but mine, having a severe food allergy, could have further reaching consequences. So I acknowledge and make sure I know when my mood is having more of an influence on my decision. Let’s talk about when I’m in a good, energetic mood when my work is going well and I’m at the shops looking for a snack. At this time I’m less likely to eat something with a warning. This is because I can think past the hunger, the food isn’t going to make me feel anything different or more than what I’m already feeling. So I am more willing to feel like I am “giving something up,” and that’s exactly it. When I’m happy I feel like I’m not missing out on anything. Now what about if I’m sad, stressed and or tired. I can tell you straight away I’m a comfort eater. Any or a combination of the afore mentioned emotions, I feel like I want sugar and carbs usually in the form of biscuits. Unfortunately for me if I want gluten and nut free biscuits there are only a few brands I can have which don’t have nut warnings (Schar being the most widely accessible at the supermarkets). When I am in a mood I am far more willing to risk a warning for that satisfaction of sugar. It is not rational. It is emotionally fuelled. But knowing this and accepting it as my choice, is important for owning my allergy. For taking responsibility of my allergy and accepting the risk. Although I know my mood dictates some of how I choose a warning label, it is not the whole story. Although I may be fuelled emotionally, I still always look at the packets, the ingredients and make a calculation of the risk. Although the driving force behind some decisions may be emotional, I want the risk to be calculated. The company is one factor when I decide what to eat. It comes down to how well do these companies understand and follow the rules for food production? To the best of my understanding large food companies have stricter rules within their factories for food production. As such I am more likely to trust big company on what they say their factory processes are on the packet than a small packet. On the other hand, small businesses are exactly that, small. This isn’t to say that all are bad. I just find with some small business, perhaps they are bakeries or home businesses, that unless they have experience dealing with allergies I don’t always trust them. This is because they are making lots of different things in one place. If there are nuts or peanuts in the kitchen, how do I know for sure that they haven’t been contaminated. How do I know that machinery has been cleaned properly. Do they have the same structures in place as a big factory? Being a small business may mean no protocols and procedures or they think they understand the seriousness of allergies but in their newness to the food business their naivety could make them think they understand when they don’t. Some small businesses are great on the other hand. Being small means that you can often talk to the people who make the product because you are buying directly from them at a market. When it comes to this, it comes down to your allergy sense and you have to make your own decision of whether to trust them or not. There’s no hard and fast rule about this, you have to trust your gut in many of these situations. Every product in Europe is required by law to list their ingredients. There is a specific way in which they are supposed to be listed and according to the current regulations, allergens are required to be highlighted in bold. Every food I want to consume from, I check. This includes the ingredients of drinks as well by the way (and to justify this I recently found a peanut butter drink while on holiday in the Caribbean and it was at the supermarket…). If I see one of my allergens listed on the label, this is an obvious no. I am not going to eat something that could make me sick or potentially kill me, that would be stupid. If the ingredients list does not contain my allergens I next scower the packet for allergen warnings and any free from claims. Now before I go on I must say I am seeing an increasing number of companies claiming “free from [insert allergen] and then putting a may contain warning on the back of the pack too. I even saw it on an entrant to the Free From Food Awards when I was judging in January 2018. It infuriates me because it is so misleading, and untrue. However, as there are no formal agreements on what constitutes free from, it is currently up to a companies judgement and common sense, which is sometimes lacking. So be careful and always check the packet. So now what if there is an allergy warning? How Do I Understand Allergen Warning Labels? Well for me, it depends on what the warning says. I will not go near one that specifically mentions peanuts. This was an unconscious decision at first but I’ve realised I do this because I had a severe reaction to peanuts (read my reaction story here) and ever since I have been incredibly careful. A warning label of any kind specifically saying “may contain….,” “made on a line using…,” “made in a factory handling…,” or anything else with ‘peanuts’ I stay well clear. It stresses me out too much and because I know I react within 5 minutes I just don’t want to take that risk. When it comes to tree nuts on the other hand I am not so strict. I have a feeling it is because I’ve never had a reaction to tree nuts before, and my tests when I was a kid told my parents that peanuts and Brazil nuts were my most sensitive allergies. The rest of the tree nuts I couldn’t have but weren’t as bad. So here is where the other factors come into play; how I’m feeling, the company and what the warning says. As I may have mentioned, there isn’t a hard and fast rule for what is a good warning and what’s a bad warning. They are all food allergen warning labels and must be given their due amount of caution at all times. That said here is how I interpret what allergen warning labels might mean. This warning could mean a number of things. One thing is for sure is this product was made in a factory that uses any of the allergens they list. Where and how it is handled is unknown. It could be made is a separate part of the factory floor with a partition. It could be made in a totally separate part of the factory with a door as the only connector between the allergen free side and the contaminated side. Or, it could be made right next to or on the same line as the allergen containing product. What you have to know about this is “how does the equipment get cleaned and how thoroughly?” As we all know using the same equipment is risky business when it comes to cross contamination. The smallest amount could cause a really severe reaction. For this reason I usually stay clear of these warnings. They are there for a reason and I’d much rather not take that risk. These “may contain…” warnings I am never sure whether a company actually means it or whether they’re putting it on to cover the their legal butts. Most times I’ve been in contact with a company the may contain is something along the lines of “there are no nuts in the recipe but we can’t guarantee its nut free.” Usually meaning they can’t be bothered to check their supply line, don’t know or just want to put a warning just in case. So how do you know whether you can eat it or not? As I mentioned before, I won’t go near a may contain peanuts. The memory of my reaction will always be far too vivid. When it comes to a general may contain nuts, it depends on the company and the other products they make in their range. If the company makes other products which contain nuts I will be more wary because I assume they are made in the same factory that could mean greater risk of cross contamination. I also avoid “made on the same line as…” warning because I can’t trust someone would clean down the equipment as well as I would. Also a quick side note before I wrap this up. When it comes to factory or wrapped fresh food, I usually go for the factory packed. This is because I personally trust the protocols put in place by large companies over something wrapped but some random person working in a bakery or on a deli counter. Especially when my allergens are present in that small space. For every food consumption decision, I try to make sure my logical brain rather than emotions (or hungry stomach) make the final decision. In the end it all comes down to what are you comfortable with. I wish I could tell you there is a hard and fast rule, but there isn’t. It’s an allergen filled world and there is no getting away from it. When it comes to deciding which allergen warnings are ok for you, I view it as a calculated risk. I personally choose as much as possible based on the way the warning is worded, what I know about the company, and what other products they make. These logical factors coupled with how I’m feeling usually are the way I come to a decision. But it all comes down to “am I willing to risk it?” And only you can make that decision for you own allergy. Do you eat foods with warnings? If so, how do you decide which ones to go for? Leave a comment below and share your views.